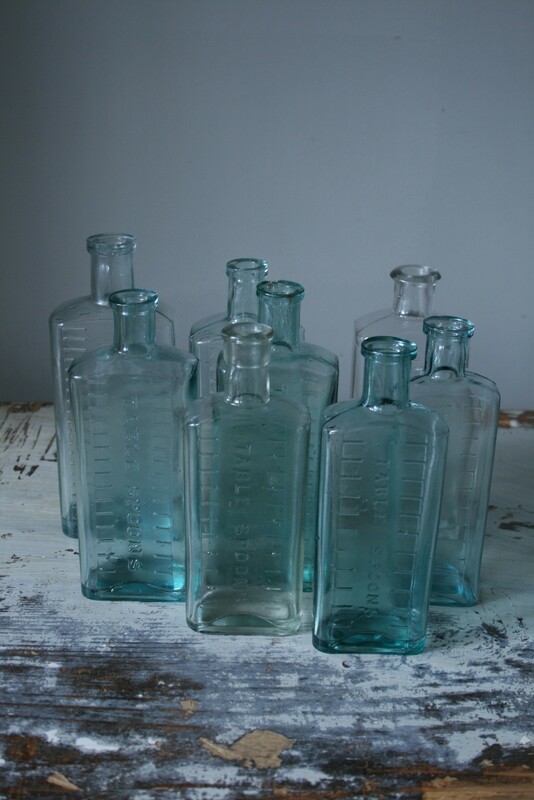 Dating from around late 19th to early 20th century these Table Spoons measuring bottles are beautiful items. They could be used to decorate a space as they are or could easily be incorporated in to an interior design project. The size and colour of this group varies: please enquire for more information.